SSH from web browser to Google Compute Engine instance is one of those cool features which simplifies every day life. 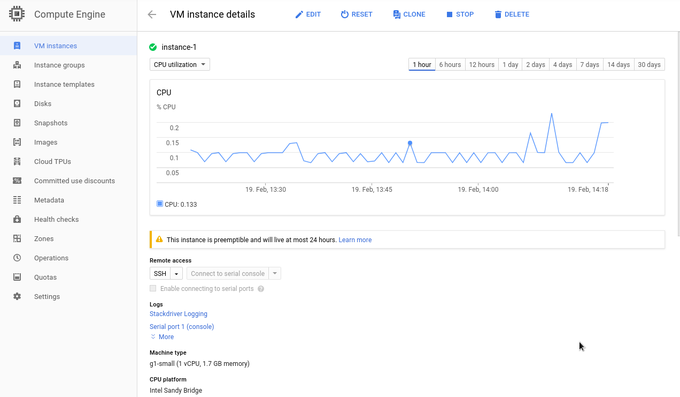 With one click of a button, you can connect to Compute Eninge VM and do stuff on command line. 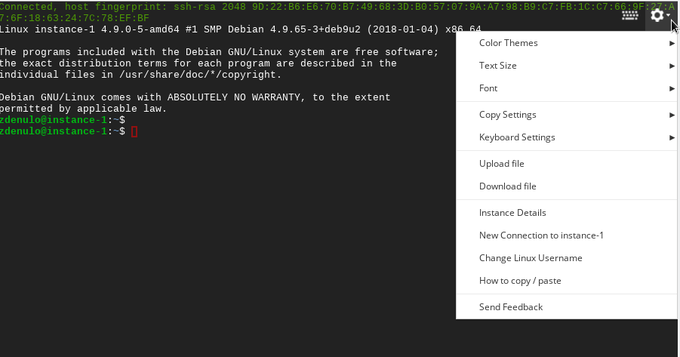 Since main purpose is of course to connect to your GCE instance and use command line, some people don't notice or care that in top right corner of ssh window there is "option" icon offering different settings/possibilities. Some are usual, some are like hidden tools to further simplify work with SSH window. In this article I'll go through each one. 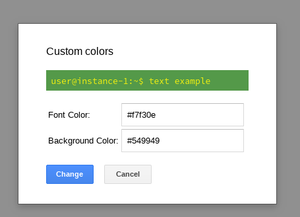 Color, Text & Font Customization. There are 2 predefined color themes (font and background): Dark (almost black background with white text) and Light (white background, black text). There is third possibility and that is to set up custom font and background color. You need to put hex value for each one to set it. 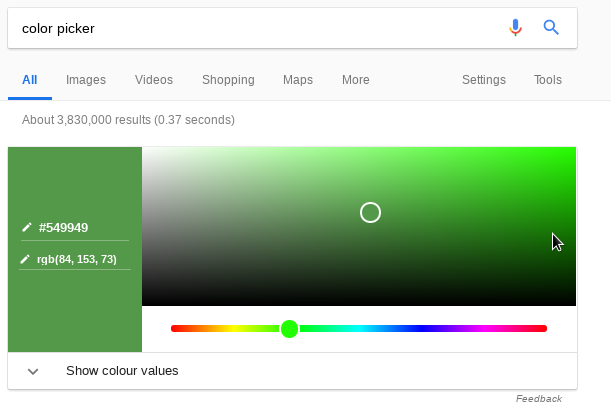 It would be cool to have color picker included so it's easier to choose, Google understands your needs, so when you type in search bar "color picker" you'll get one right away. And this how custom theme can look like. Of course it all depends on personal preferences, I'm happy with Dark theme. Regarding Text size, you can set fonts size with 5 predefined sizes and 2 font types (Courier and predefined by Browser (in my case Monospace). 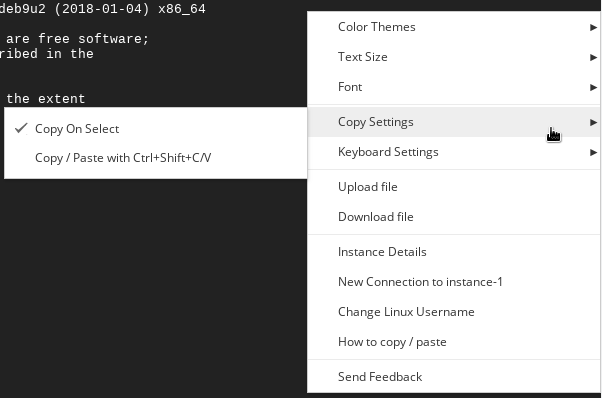 Next, you can set Copy settings and that is if you want to copy automaticaly with mouse text select or with buttons Ctrl+Shift+C. Regarding Keyboard settings you can set Alt button behaviour. I admit I don't use this one. Upload / Dowload of files. Cool feature is that you can upload or download files. Truth is, it's a bit slower than through ssh. When you click on Upload option, file picker is straight opened, and you can select which file to upload (it's possible to select only one file) and file starts uploading to your home folder at VM (this cannot be changed so far). From my experience reasonable file size (in terms of time to wait for upload is few MB). File is downloaded to your browser's Download folder on local computer. When you click on Instance details, it will open new browser tab to take straight to detail page of related instance, so it's kind shortcut. New connection to <instance-name> will (no surprises) open another ssh window. With Change Linux Username you can change username used on VM. Primary username is derived from email address which is used for login to Google Cloud, but if you don't like that you can change it. On existing instances, new home folder will be created (beside current one) with new username, but all files will remain in old home folder. More details as well as practical steps can be found on this url https://cloud.google.com/compute/docs/ssh-in-browser?hl=en#login_username. In new instances (after username change) you will see home folder only for new username. That's all, happy Browser SSHing.